This is the piece I practiced satin stitch and some long/short stitch on. I found different tutorials had different ways of doing satin stitch so I wanted to check them out before using it on a bigger scale. Today I was starting a new practice piece because I wanted a bigger piece of fabric to put all my practice and notes on to use for later reference. So, I asked him “Is it a waste for you to write your spelling words?” To my relief he said no. Learning is never a waste. This piece of fabric will eventually be a mishmash of color, notes and techniques. It will never be on display, but it is a beautiful example of learning. On the note of learning. 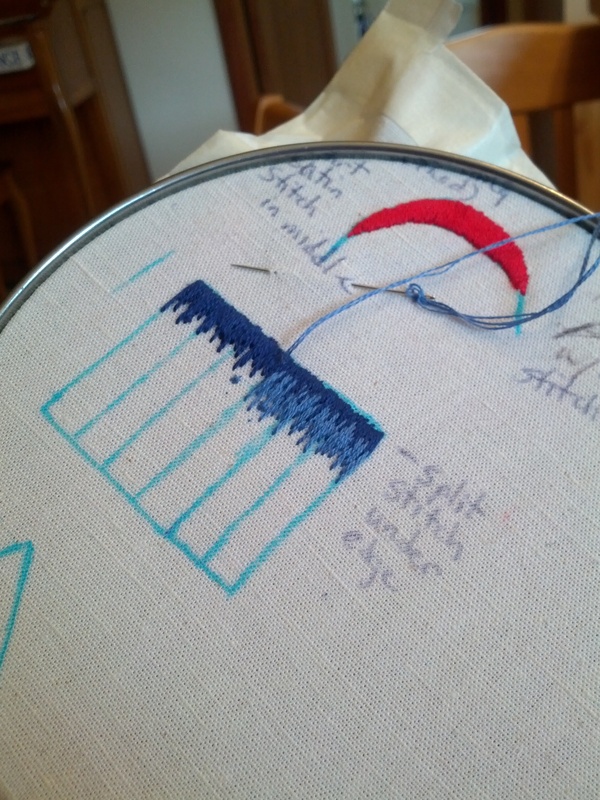 I learned the basics from my Mom , but I have been following the blog Mary Corbet’s Needle ‘n Thread http://www.needlenthread.com and she is a great inspiration. She also has some wonderful written and video tutorials for many different stitches. Wonderful stuff. 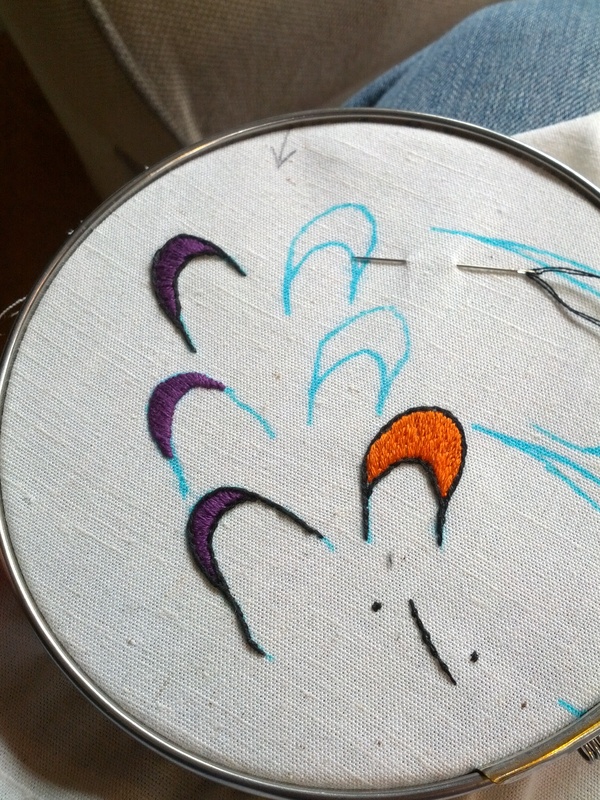 I love that picture of you all gathered around a canvas to learn…what a fun way to learn embroidery. I have a feeling I will be making many practice scraps in my future. My Grandmother taught me tatting and when she passed away I found some of her “scraps”. I put them in my sewing. They are my most precious reminders of her.